In the fall of 2006, Artistic Fellow (and WTO alumnus) Joshua Winograde proposed an idea to expand the training and educational opportunities offered by Wolf Trap Opera. The program would consist of 12-16 singers who were in the process of earning degrees in opera performance, and it would provide them important career development opportunities that would assist in their transition from student to young professional. The Wolf Trap Opera Studio’s inaugural season was 2007, and its artists made their debuts at The Barns in Volpone and L’étoile. Over the past ten years, the Studio has grown into a coveted training program for students who are finishing their formal education. Since its inception, over a hundred young singers have benefitted from performance-oriented traning, guest faculty expertise, individual mentoring, and seminars that demystify this cloaked, unique profession. 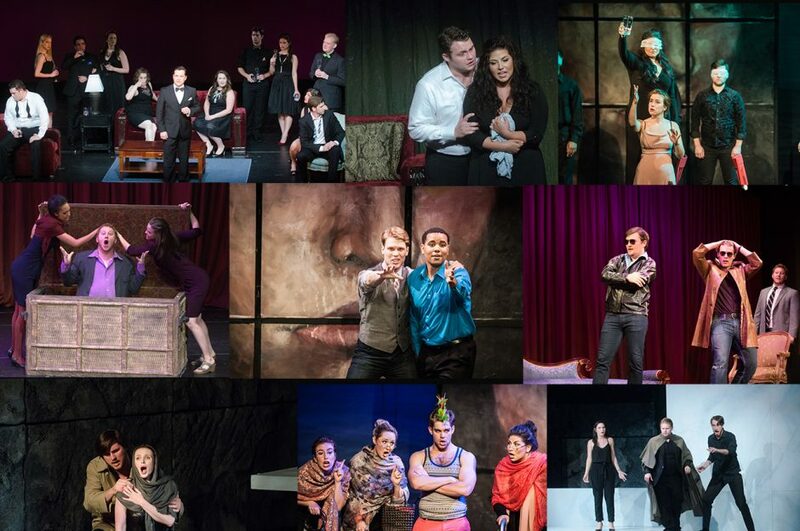 Alumni of the Studio are now performing all across the country, on main stages and in “big house” artist training programs including those at the Metropolitan Opera, Los Angeles Opera , Houston Grand Opera, San Francisco Opera, Lyric Opera of Chicago, Pittsburgh Opera, and Washington National Opera. Others have transitioned to engagements abroad in Amsterdam, Geneva, Lisbon, Munich, Dresden and beyond. Several Studio alumni have had the opportunity to return to Wolf Trap as Filene Young Artists. The list includes previous FYAs Catherine Martin, Tracy Cox, Sarah Larsen, and Amy Owens, and 2017 FYAs Ben Edquist, Shea Owens, and Megan Samarin. Alumni like tenor Paul Hopper have segued into important related work in the arts industry. Paul is now the Dramaturg for Houston Grand Opera, where he delivers audience lectures, creates supertitles, and oversees the development of new operas. Baritone Tim Campbell is still singing in the greater Los Angeles area, but is perhaps more well-known as an award-winning audiobook narrator. And countertenor Chris Newcomer has performed on Broadway and around the world on tour with CHICAGO the Musical. The Studio’s 10th Anniversary season will include a staged opera scenes performance (July 8), world premiere of a new children’s opera (Listen, Wilhelmina! ), a pops concert with the National Orchestral Institute (June 3) and appearances in supporting roles across WTO’s performance calendar. Join us in celebrating the work of these talented young singers and the important contribution the Studio makes to the opera world.